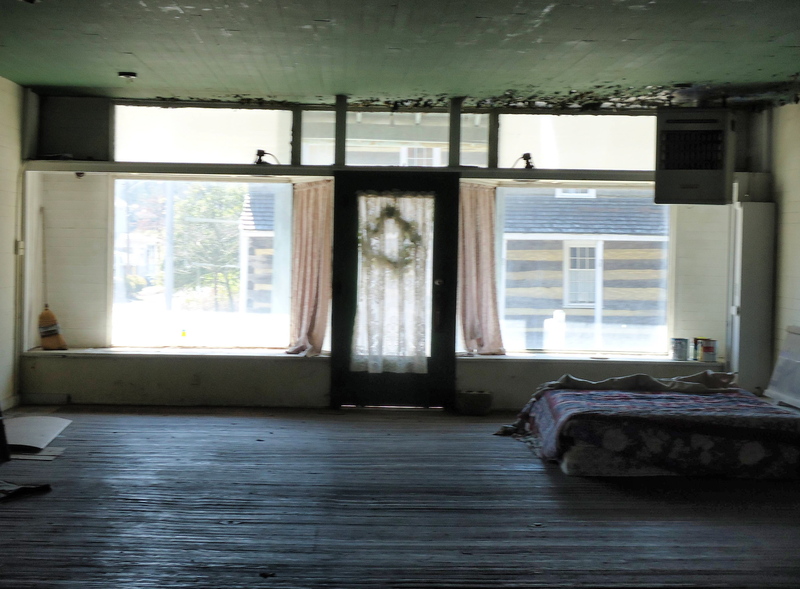 Writers more than frequently than not tell me they are stymied when it comes to marketing their book. They prefer sitting at their desk writing. They would love to hide in their little corner of the world and let the book sell itself. However, the book won’t sell itself. Simon & Schuster signed Mary Higgins Clark, the mystery writer, to a $10.1 million, five-book contract. Malala Yousafzai, 15, will get a chance to tell her story with the publication of a book I Am Malala. The deal: 3 million dollars. Amanda Knox agreed to a nearly $4 million book deal with HarperCollins about her trial and imprisonment in Italy for the murder of her British roommate. Yes, the multimillion dollar book deals are out there for those persons with name recognition or with bizarre experiences. However, they aren’t out there for you or for me. For us marketing is viewed as a struggle and a challenge. We must work diligently to sell our books. Business persons offers some marketing hints for authors. I’ve collected a four to share. NOTE: I’ve changed some of the material to reflect writing and readers rather than businesses and customers. As I read articles and columns about being successful in business I see hints which might help us market our books. After all, our book is a product and a product must be marketed if it is to be sold. And marketing requires us to develop an outgoing side to our personality. Sitting in a corner mouse-like doesn’t cut it. In this article I’ll share four business-model lessons I’ve gleaned from reading different columns: developing an opening line, sell yourself first, developing empathy, and developing self-confidence. FREE SHIPPING/HANDLING FOR DECEMBER 2010 ORDERS! All unframed photographs are $25.00 plus $2.50 shipping/handling. e-mail Carolyn C. Holland, chollandnews @ yahoo.com. 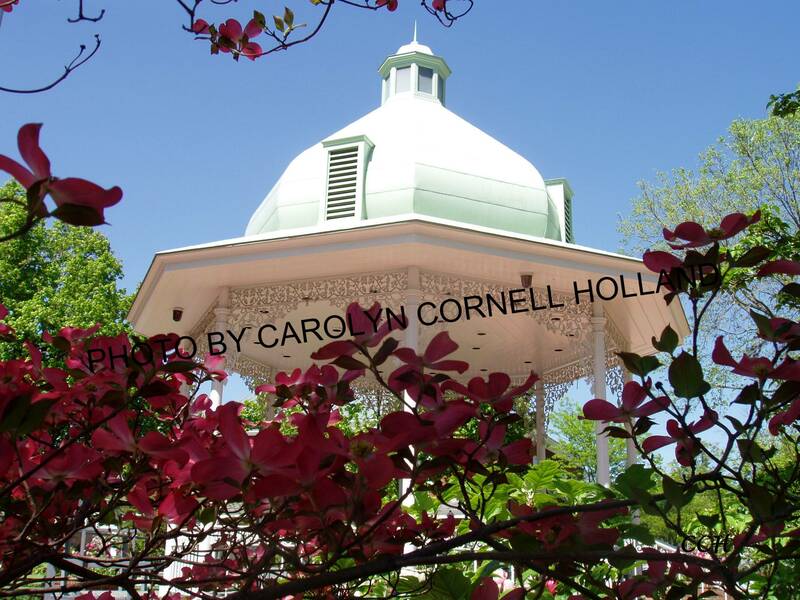 This gazebo in the center of Ligonier, Pennsylvania, is surrounded by maroon dogwood blossoms. This photograph graced the cover of the 2009 Ligonier Calendar. 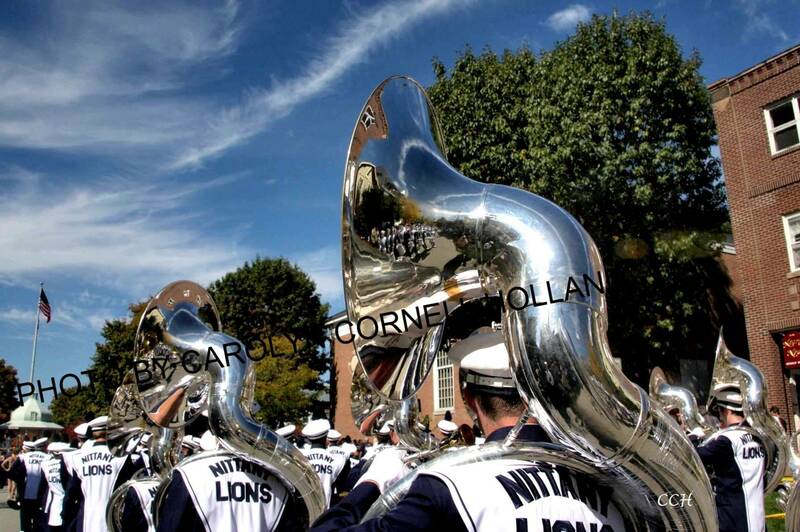 The Penn State band marched in the 2009 Ligonier Days parade. Reflections enhance the photograph. The Ligonier Gazebo in the distance sets the site for this photograph, which was featured in the 2010 Ligonier Calendar. 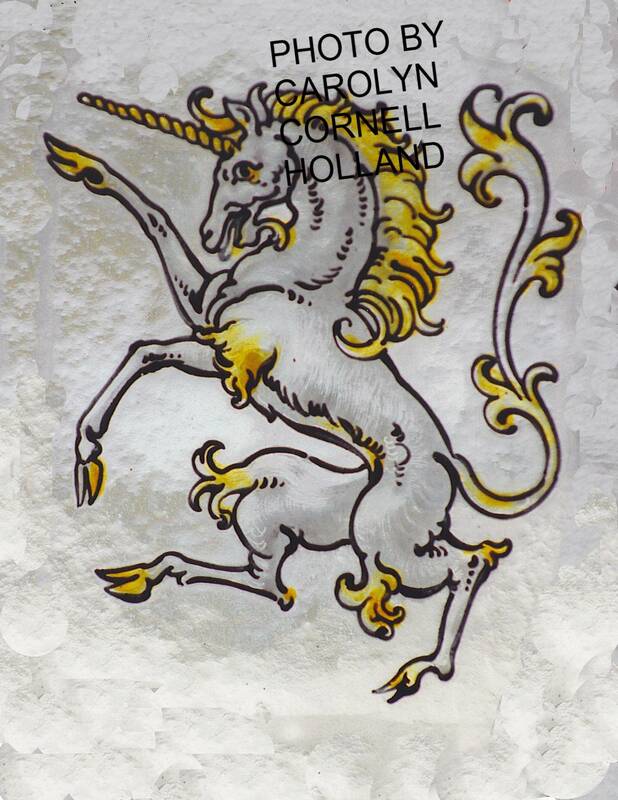 This graceful unicorn, featured in a stained glass window at the Olmstead Manor (a United Methodist Church retreat center) in Ludlow, Pennsylvania.